A major terrorist attack has rocked a hotel in a major city. Al-Shabab, an ISIS affiliate, is taking responsibility. An attack by the Islamist group al-Shabab on a hotel in the Somali capital, Mogadishu, has left at least seven dead, health workers say. 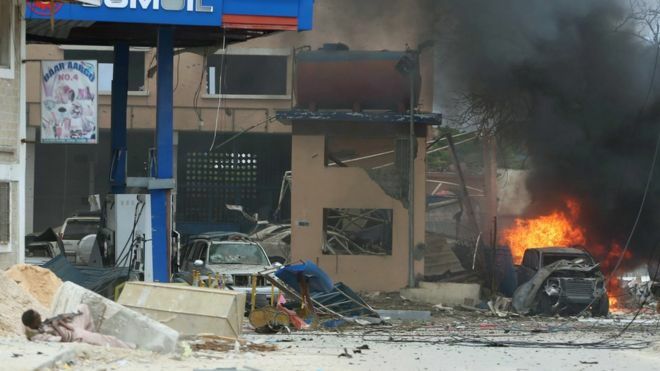 A car bomb was detonated at the gates of the Naso-Hablod hotel before gunmen stormed it and took hostages. The identities of the victims are not clear, but reports say they include three security guards. Funny, I don’t suspect the media will blame this one on “lax gun laws” or “hateful rhetoric.” I doubt they’ll blame it on the radical version of Islamism that fuels these murderers either. Are we doing enough to combat terrorism? share your thoughts.